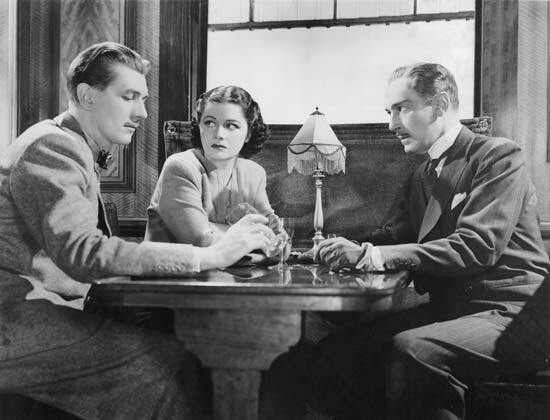 Michael Redgrave (l.) and Margaret Lockwood do some investigating in The Lady Vanishes. It’s great to see Alfred Hitchcock’s (Psycho) quick-witted and devilish 1938 comedy-thriller The Lady Vanishes get the Criterion treatment. In the movie, beautiful Margaret Lockwood (Night Train to Munich) is traveling across Europe by train when she meets a charming spinster (Dame May Whitty, Suspicion), who then seems to disappear into thin air. The younger woman turns investigator and finds herself drawn into a complex web of mystery, adventure and even some romance. Co-starring Michael Redgrave (The Browning Version) and Paul Lukas (The Ghost Breakers), The Lady Vanishes remains an audience favorite and one of the great filmmaker’s purest delights. Criterion’s Blu-ray edition offers a high-definition digital restoration of the classic film with an uncompressed monaural soundtrack. There are a number of bonus features on the Blu-ray that have been imported from Criterion’s 2007 DVD edition of the film, which is still available from retailers.